Don't let the cold or flu get in your way. 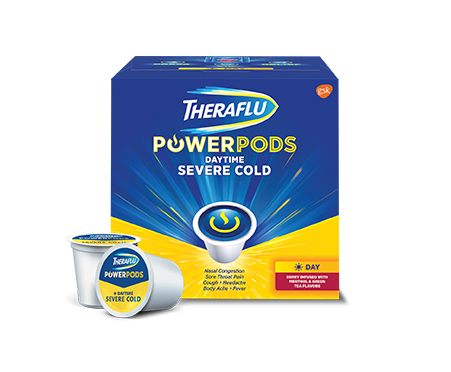 Theraflu PowerPods Daytime Severe Cold fits right in your routine. Compatible with most single-serve coffee makers, these fast-relieving pods work on even your most severe symptoms. Press. Sip. Relief. Rest easy, there's a nighttime PowerPod too. 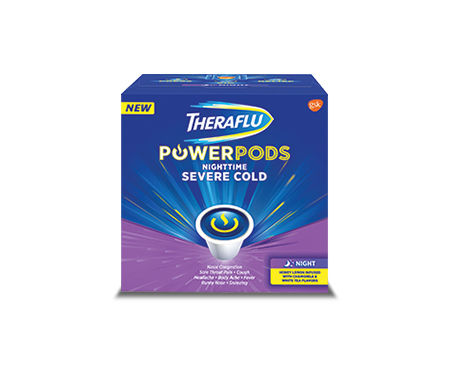 You will opt-in to receive either Theraflu PowerPods Daytime Severe Cold OR Nighttime Severe Cold. 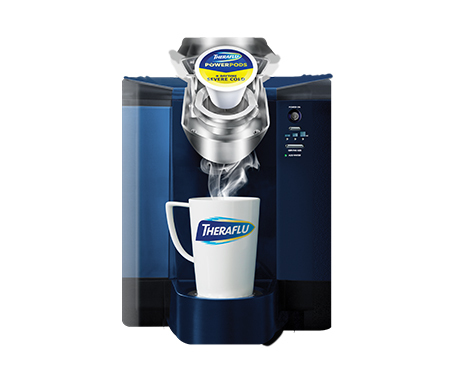 Please note, when using Theraflu PowerPods Nighttime Severe Cold, marked drowsiness may occur. Alcohol, sedatives and tranquilizers may increase drowsiness. Be careful when driving a motor vehicle or operating machinery.